The Threshold Rock (Doorstep Rock) is the rock that marks the entrance of Wolmyeongdong. 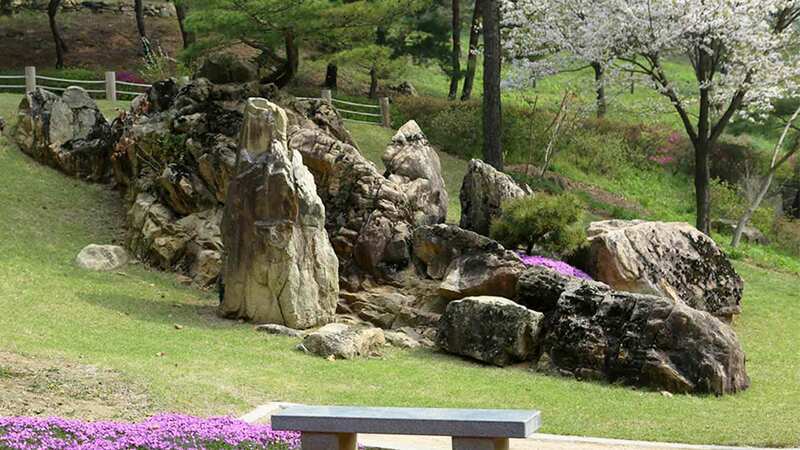 When you hike up the entrance of Wolmyeongdong towards the pond, along the way, there is a boulder you pass. That place is like a threshold. That is why we call that boulder the Threshold Rock. According to legends from long ago, the beginning of a room starts from its threshold. It is always scary until you cross over it. One day, when Pastor Jung Myung Seok was young, he was coming back from church. At that time, there were two graves next to the path to the Threshold Rock. He felt that somebody was right behind him, chasing after him. He had heard that his mother was really scared of coming back from church at night because of a ghost. His mother used to go to morning services, but there was a time when she stopped going. He asked his mother why she stopped going to church. She said she was scared. A ghost had shocked her one time, so that’s why she decided to stop going to the morning services. So while he was walking through that area, just as his mother had told him, he felt someone who was wearing white clothes with disheveled hair coming towards him. He started to run, but she was right behind him, chasing him. He felt that if he looked back, he would surely see the ghost. When he turned, he saw her. She was a young woman who was wearing white clothes. When he screamed, she fell backwards. After looking at her, he realized that she was the ghost that had followed his mother. When ghosts follow you, you should face them like this. If you suddenly turn around, even a person who is pointing a gun at you will fall backwards. If a puppy was running away but suddenly turned around and sprang at something, it will fall backwards as well.